Learn about Online Shopper℠, Dealer Inspire’s digital retailing toolkit that seamlessly integrates with your dealership’s website. Tools include a bank-powered monthly payment offers, lead forms, chat platform, trade-in calculator, and more. Check them out at booth #2311S. Access to credit scores and reports are becoming easier to obtain, and therefore even more important as a part of the online to in-store car buyer’s journey. Equifax is ahead of the curve - working to implement new technology that enables easier integration as part of a successful digital retailing process. Auto insurance is changing the game as a new part of the digital retailing process. 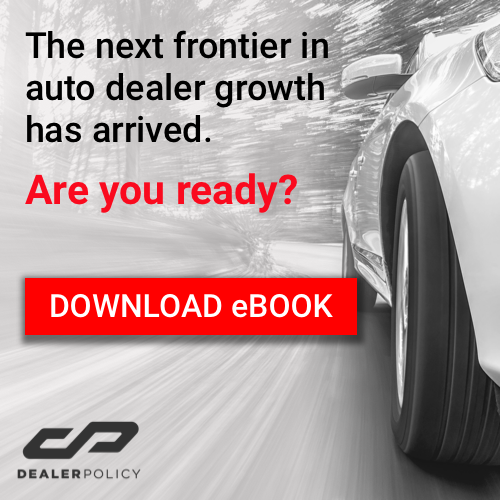 Through DealerPolicy’s proprietary technology, dealership sales and F&I staff can leverage its intuitive app to offer car buyers multiple instant, on-the-spot auto insurance quotes. These newfound customer savings can be leveraged into increased buying power- creating a new profit for dealerships and a better customer experience.